Our awesome birthday parties are 90 minutes long and hosted in our party area, accessorized with a karaoke machine for kids to sing along with their favorite songs. All parties are led by our “Pink Starlets” so parents can focus on enjoying their children having fun and taking pictures if you choose. Please call for details and reservations. We’d love to help make your child’s birthday a special day with his or her friends. 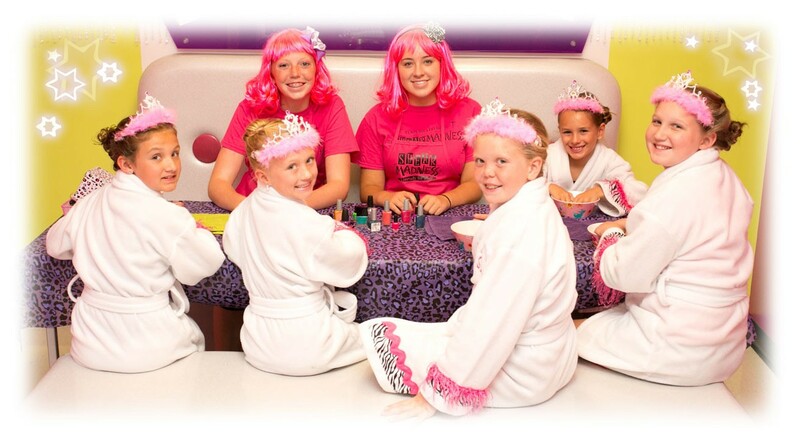 To book your DIVA or SUPER HERO birthday party please call 716-322-5332! A note on cancellations: Rarely do we have party cancellations, HOWEVER if you must re-schedule or cancel your party reservation you MUST do so no later than 21 days prior to your reservation – or you will lose your deposit. If you have any questions please contact your location for details.